Went a bit too far with the eyebrow grooming? We feel ya. Though super thin '90s-style arches are a thing of the past, we’re still not spared from the occasional tweezing blunder—or from a brow therapist who’s too eager with the thread or hot wax. 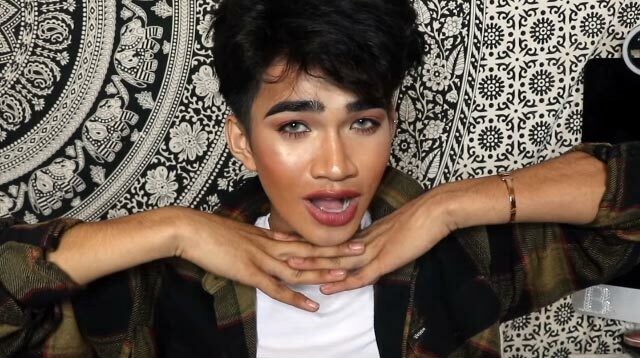 In the meantime, while you fake full kilay with your entire arsenal of makeup products, here’s a hack from Bretman Rock that might speed up the growth of your eyebrows. Take it from the YouTube star—he knows what he’s talking about. So how exactly do these ingredients promote hair growth? According to Diana Gage, author of Aloe Vera: Nature's Soothing Healer, aloe vera has a similar composition to that of keratin, which is the primary protein of hair. "[Aloe vera] rejuvenates the hair with its own nutrients, giving it more elasticity and preventing breakage." Castor oil, on the other hand, is a very popular remedy when dealing with hair loss. Though there’s no scientific evidence to back this claim, many suggest that the vitamins and fatty acids in castor oil stimulate hair growth. It’s well worth a try, CGs!